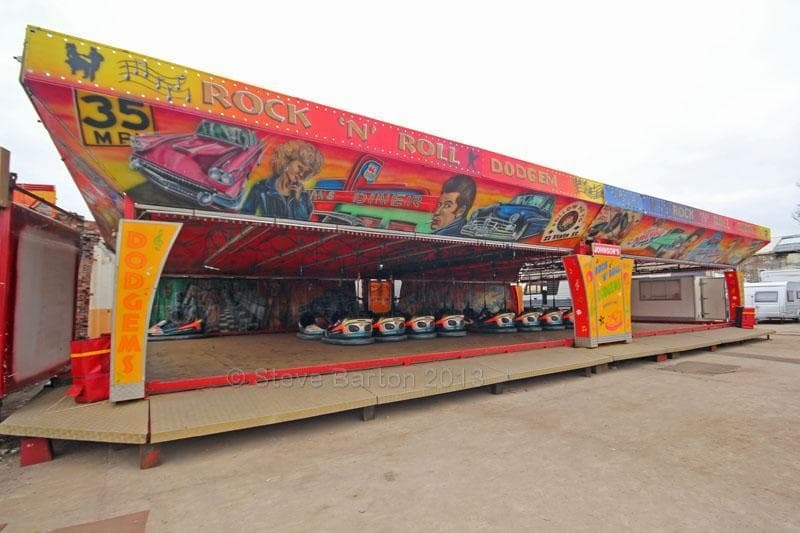 Hire A Funfair Dodgem Ride. 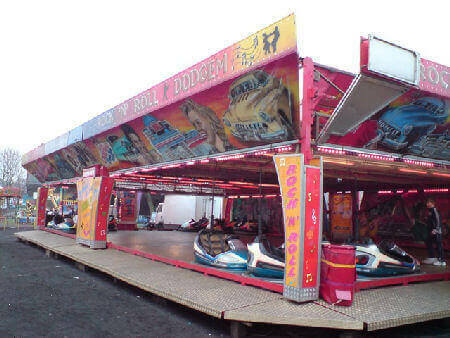 The U.K.'s Most Popular Funfair Rides For Hire. We have a full range of track sizes available, ranging from the ultra modern continental type to the traditional English model fairground ride. With the quantity of cars ranging from 6 on a small track to 14-16 on a regular sized ride. 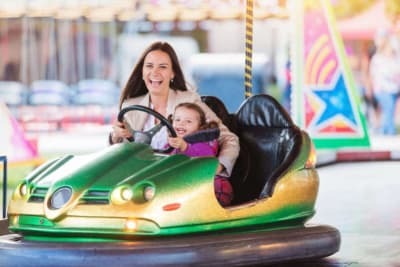 Dodgems or Bumper Cars as they are commonly known, are one of the best loved rides on the fairground suitable for both children and adults. They create a stunning centerpiece for any event, from a private party to a corporate funday. The continental type track has both advantages and disadvantages when compared to its traditional English counterpart. Being trailer mounted they are easier to transport, and quicker to set up/take down , requiring fewer personnel to do the job. Some of the tracks we supply can be set up in around 3 hours. Additionally they tend to be decorated to a higher standard with fancy airbrushed artwork and computerised lighting systems. The main drawback they have, is the fact that being trailer mounted they are larger and heavier, limiting the venues they can attend. We have successfully carried English type tracks under low bridges or through narrow gates and erected them in hard to reach places, this just isn’t possible with a continental track, you would need around a 9 foot wide and 15 feet high entrance to accommodate the transport vehicle and trailer. 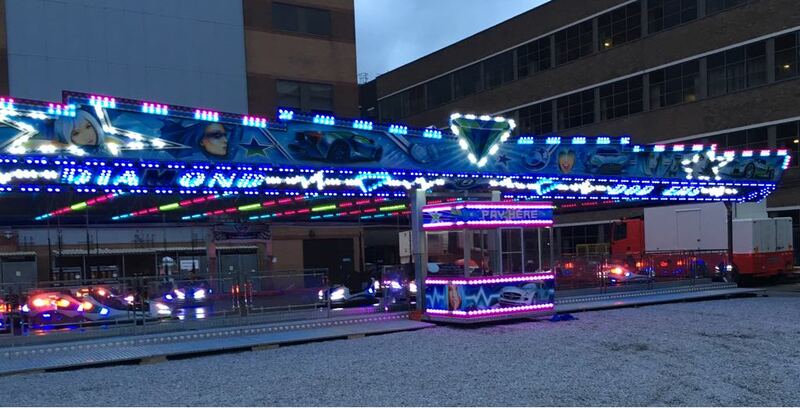 When dodgems are required with a smaller track size, we have a couple of downsized traditional examples and can supply on request a full range of track sizes and quantity of cars. Both types of dodgem sets have the same types of dodgem cars and give the same great ride. 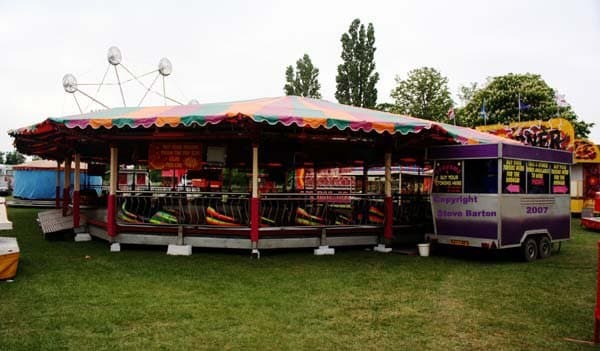 If you need a hassle free funfair for your event, we can take all the pressure off you. We specialise in supplying corporate funfairs of any size, World Wide, and can tailor our attractions to your precise requirements. 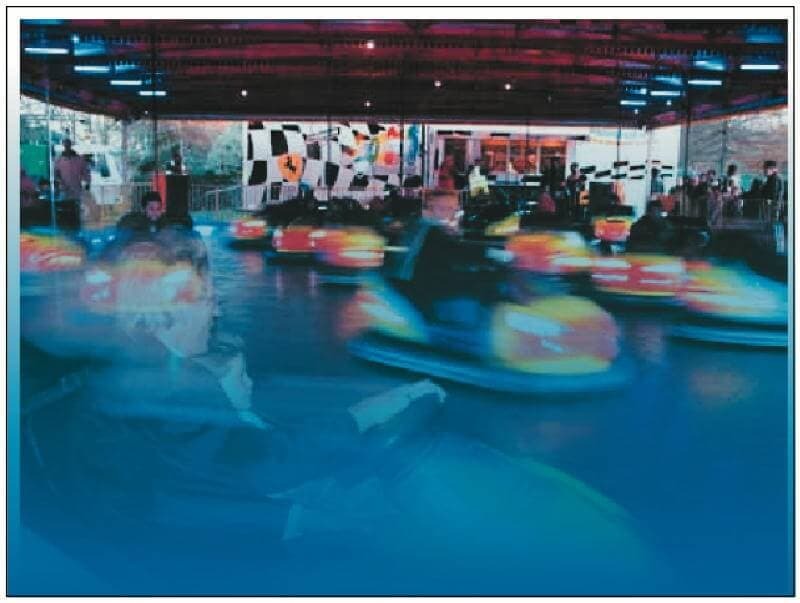 "How Much to hire dodgem cars?" A precise answer needs further details but usually between £1500 and £2000. 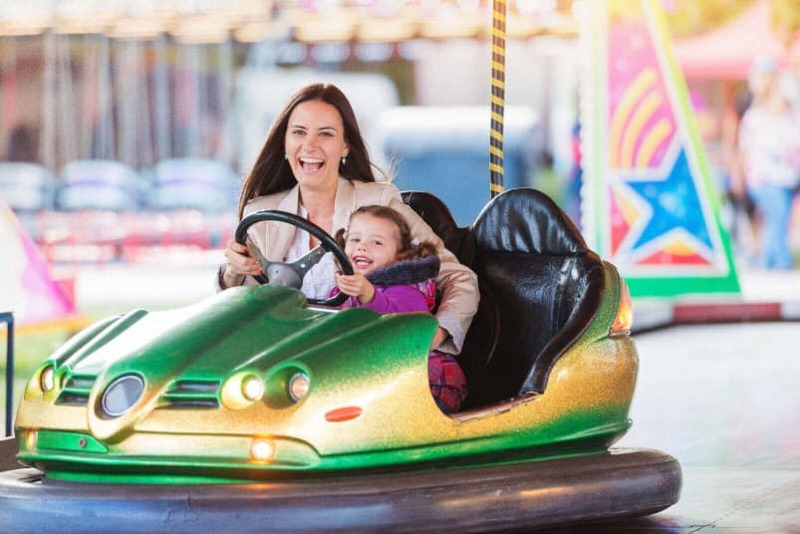 Dodgems are the most popular of the traditional fairground rides, simply because they appeal to guests of all ages. Young kids want to drive and smash into everything available, whilst their grandparents are still capable of enjoying themselves dodging around to avoid the other drivers. If you are going to hire only a single ride for an event, we would recommend the dodgems, or "Autoscooter" as our European cousins call it. If you are looking at a larger event with multiple rides, you should still consider a good track as the centrerpiece, and choose the other rides to support it. Where do I hire dodgems from? From Dodgemhire.net. We can provide dodgems hire to any part of the U.K. from the North East, Lancashire, Yorkshire, London, Midlands, Wiltshire, Somerset, Hants, Gloucestershire, Berkshire, Surrey, Essex, Oxford, Bucks, Herts, Bedfordshire, Suffolk, Cambridgeshire, Norfolk, Northants, Warwickshire, Leicestershire, Notts, Derbyshire, Lincs, Staffordshire, Shropshire, Worcestershire, Cheshire, Cumbria, Northumberland, Scotland, Herefordshire and many more. Hire dodgems for weddings, birthday parties, military and college balls, fun days, exhibitions and any other private and corporate events. Hire Dodgems Near Me.